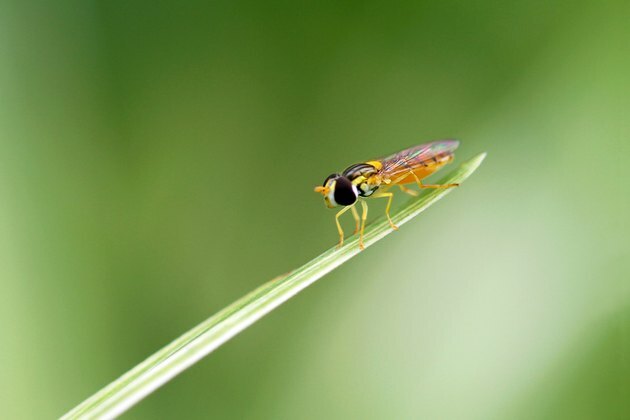 The insects and arachnids that live in Michigan gardens rarely pose a serious threat to healthy adults, but some species are potentially dangerous. The bites of two spider species may cause severe reactions, and in some cases, even the stings of common bees and wasps can cause significant health problems. 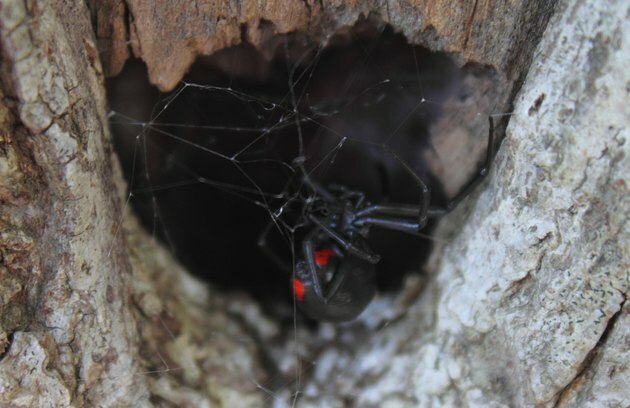 One species of black widow spider, the northern widow (Latrodectus variolus), is found in lower Michigan, where it tends to live in outdoor areas away from activity, such as in wood piles and hollow logs. The female builds a messy web in which she lays her eggs and stands guard over them. 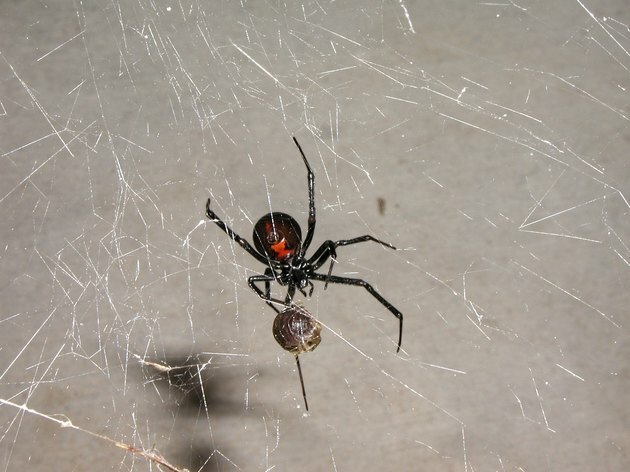 The female northern widow has a body length of about 1/2 inch, excluding the legs, and is black or very dark brown in color, with an hourglass-shaped red marking on the underside of her abdomen. The male of the species is about half the size of the female; males lack the red markings and are not dangerous. The bite of the female northern widow may not be painful at first, but the pain usually increases to a dull, whole-body ache within an hour after the bite. Eventual symptoms of a reaction to the venom can include severe muscle pain and cramping, nausea and fever. The bite is rarely fatal in healthy adults, but children and the elderly may be at risk of serious effects. The brown recluse (Loxosceles reclusa) is most common in the southern United States and very rare in Michigan, but the species does turn up occasionally in the state. Its natural habitat is in dry, secluded places in the garden or other outdoor spaces, but it is a wandering hunter and may enter buildings as it roams. Both female and male brown recluses are between 1/4 and 1/3 inch in body length with 3/4-inch legs, and both male and female are light or medium brown with a darker fiddle-shaped marking on their backs. The bite of the brown recluse is not always initially painful but may become painful within a few hours. A small blister will form over the bite area, and over time, the spider's venom may cause the tissue around the bite to die, causing an ulcerated sore that heals very slowly. Bees and wasps that are commonly encountered in the garden inject venom when they sting, but the venom rarely causes a serious reaction in healthy adults. A normal reaction to the venom results in pain and swelling around the site of the sting, and the reaction usually subsides within a few hours. A toxic reaction may occur when an individual is subjected to numerous stings at one time and is thus exposed to a large amount of venom; symptoms of a toxic reaction include cramps, nausea, drowsiness and fever. In some cases, a toxic reaction may be fatal. Individuals with an allergy to bee or wasp venom may experience a severe or even fatal reaction to stings. Symptoms of an allergic reaction include dizziness, nausea, swelling of the throat, vomiting and breathing difficulties. In the worst cases, allergic reactions may be fatal. If you suspect you've been bitten by a black widow: Apply ice to the bite to reduce swelling and seek immediate medical attention. Medical professionals will likely treat the pain of the bite with medication and may prescribe medication to control high blood pressure. In severe cases, the administration of antivenin may be required. 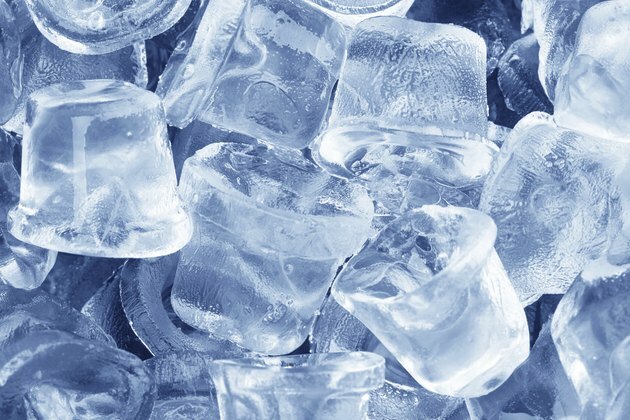 If you suspect that you've been bitten by a brown recluse: Use ice to treat swelling. Seek medical attention if you develop symptoms that involve your entire body, rather than just the area of the bite. Also seek medical attention if an open sore or any sign of tissue death occurs at the site of the bite. In the case of a bee or wasp sting: Wash the site with soap and water, apply ice to reduce swelling, and treat pain with an over-the-counter pain reliever. Some bees, such as the honey bee, will leave behind a barbed stinger even after the bee is removed; to remove the stinger, scrape it away with your fingernail, the edge of a credit card or another flat object. Seek immediate medical attention if you know that you are allergic to stings, or if you develop any symptoms of an allergic or toxic reaction. To discourage potentially dangerous spiders from moving in to your garden, eliminate, as much as possible, their preferred habitats. Remove piles of brush and debris promptly, and keep sheds and outbuildings clean and uncluttered. 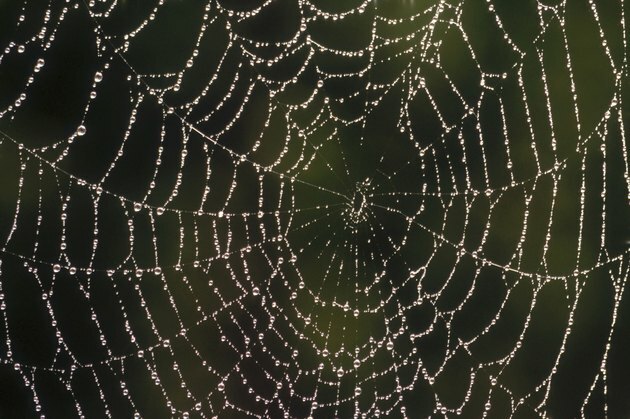 Wear gloves, long sleeves and long pants while you're working in potential spider habitats, and avoid reaching into places where you can't see. 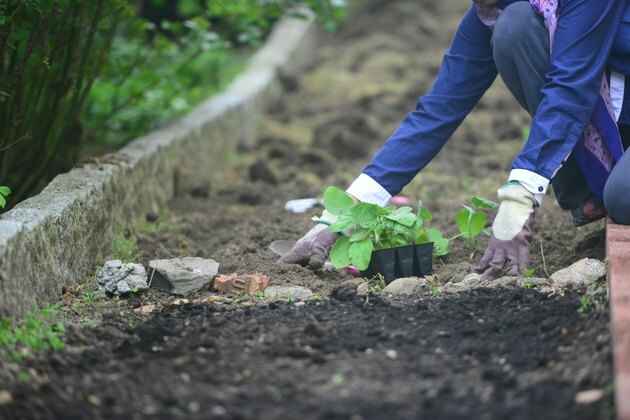 To minimize your risk of bee and wasp stings, avoid wearing brightly colored clothing that may attract bees, and clean up rotting fruit, garbage or animal feces, which may attract flies on which wasps prey. If you encounter bees or wasps, stay calm and leave the area slowly. What Kind of Bees Come Out at Night & Hover Around Porch Lights?